Macshell has an advanced warehouse management system with complete management of supply chain business. Our software is developed to manage the storage and movement of materials in your warehouse. At the same time, you get to handle the transactions associated with your warehouse along with picking, shipping, and receiving materials. Our software also helps you optimize your stock with real-time data availability. With our warehouse software solution in India, you can align the infrastructure of your physical warehouse with the tracking systems as well as interaction of multiple product stations. Plus, we make your warehouse efficient in terms of storage, receipt and material movement management. You can track the movement of items to intermediate locations and to the final customers as well. Whether you have one warehouse or a series of warehouses, our software is a single solution for whole distribution. 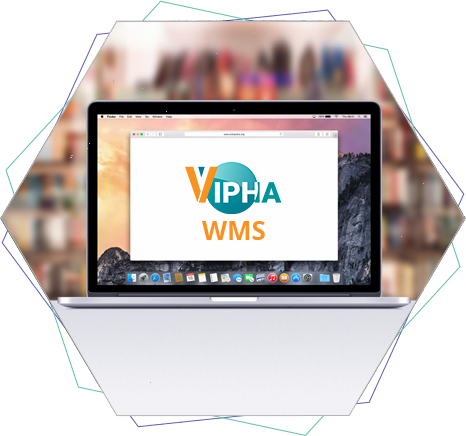 The WMS has been designed to align the distribution process between central, regional and also the retail warehouses of yours. Macshell warehouse management system helps streamline multiple functions of your enterprise. Know the location of all inventory on your shelves and increase the number of orders they can pick each day. Ensure the accuracy of each order that is picked and reduce material costs by determining the right sized shipping carton. See that each order is properly packaged and shipped to the right destination and delivered on the right date. Check the availability of stock in real-time with our WMS system. Our software compiles inventory reports with respect to different filters. Warehouse managers can see the maximum available stocks, minimum available stocks and use other filters as well. The accuracy of the information stays top-notch as well. Hence, managers can keep making flexible decisions with respect to the latest stock conditions in the warehouse. Centralize the management of your warehouses with single WMS software. Your stores in different locations become manageable with our software. See all the materials that are being transferred from one warehouse to other. Also, find the position of any desired item in any of your warehouses. View warehouse data as per your requirement. Our system offers a summarized overview of data along with a detailed presentation. Warehouse managers can make time-efficient decisions with the versatility of reports offered. Hence, each decision leads to business profit due to informed-decisions enabled by customized data presentation. Enhance the efficiency of teamwork with multi-user accessibility of our warehouse software. All the authorized users can securely access the software from any location and make updates. At the same time, users can share data and reports with each other in a secure manner. The simple usability allows all managers to start using the software from day one. Track the items available in your inventory with respect to the availability, process, and consumption. You can also track the steps of an item from one inventory to another until it reaches the final location. This becomes possible due to the dispatch entries and automated valuation of the inventory. Our WMS is equipped to align each and every functionality of your warehouse. You can gain insights, reports and manage functions without struggling at all. You can control everything from receiving products to deciding the location of those products in your inventory. Also, utilize the same system to pick, pack and ship your products on-time.